MopDog: MopDog Monday: What does Duck Tales have to do with the Hungarian prime minister? MopDog Monday: What does Duck Tales have to do with the Hungarian prime minister? I think this one might successfully compete in a "most Hungarian pop culture reference" contest. And it is also specific to my generation - some Hungarian '90s kids realness. Recently, since the meme machine has been in full swing over various political events (see example in previous post), one can come across a recurring curse on the Interwebs, one specifically applied to Prime Minister Viktor Orbán, and doesn't make much sense to foreigners, even if translated. "Hogy szakadna meg miattad a Kacsamesék!" "May they pause Duck Tales because of you!" It was December 12th, 1993. I was 7 years old. It was a Sunday afternoon, which meant one thing, and one thing only: Sunday Afternoon Disney on TV. I, together with probably all other children of my generation in the country, was sitting in front of the television set in my grandparents' living room, glued to the cartoon screen while the adults were drinking afternoon coffee. And then, suddenly, the screen went black. József Antall has passed away. For a seven year old, this meant exactly nothing - the mood was immediately riotous, everyone wanted Duck Tales back, and we could not give a flying duck about who passed where and why. Meanwhile, the adults who rushed into the room when they heard us whining stood in silent contemplation. József Antall was the first freely elected Prime Minister of Hungary in 1990, when we became a democratic country. 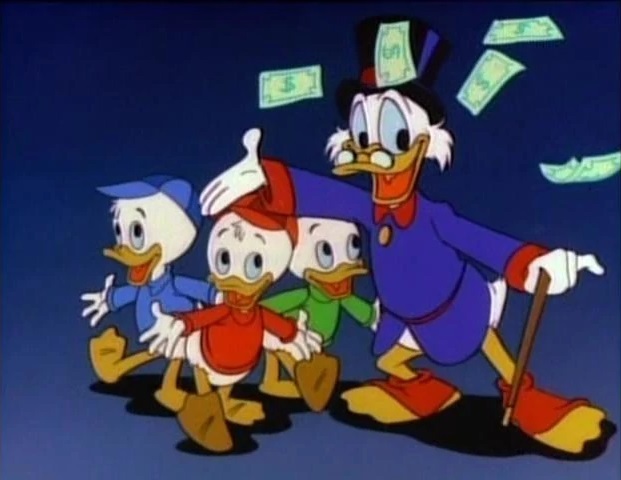 My generation remembers the day as "the day they cut Duck Tales," and now it is a part of our memories of being children around a significant turning point in our country's history. We didn't learn the real meaning of it until later, obviously. Some still harbor hurt feelings that we never got to see the end of the episode. Well, this is it in a nutshell. Probably the most elaborate, culture- and generation-specific, prime minister - tailored way the Hungarian Internet could come up with to say "GTFO." I do not remember when it happened here in the USA, but the end of a football game was cut-off so that the movie 'Heidi' could start at its scheduled time. For years grown men would grumble about it. I'm on the children's side even though those children are quite grown up. How dare they pause the Duck Tales. Even Jozsef Antall would agree. Or maybe not, I did not know him. Good story. I have question: I watched this event on YouTube as you can see from this video: https://www.youtube.com/watch?v=wZQw-xuMCTc , but it didn't show the flashed text in Hungarian that József Antall has died. Here's my question: how do you know in this video that the interruption of DuckTales was because of his death? I'm a bit confused.